In this Feb. 5, 2019, file photo, Oprah Winfrey speaks during Oprah's SuperSoul Conversations at PlayStation Theater in New York City. 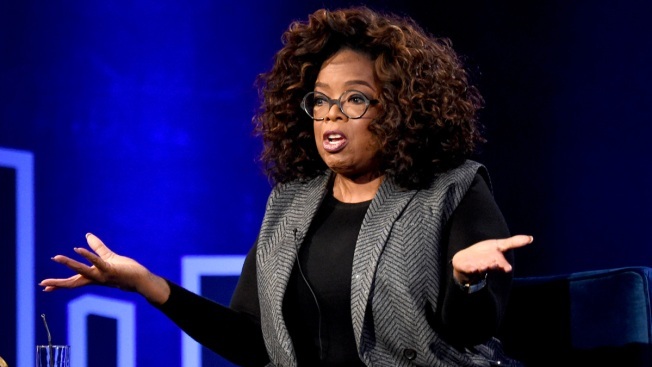 Oprah Winfrey’s stake in Weight Watchers fell by almost $48 million, at least on paper, after the dieting company released a weak earnings results Tuesday. Shares of the company cratered 30 percent after it reported disappointing fourth-quarter earnings and gave investors a weak outlook for 2019. Winfrey owns more than 5 million shares of Weight Watchers, or about 8 percent of the company, according to FactSet. Winfrey’s stake in Weight Watchers was valued at $160.18 million when the markets closed Tuesday. It quickly plunged when the company released its earnings after the markets closed, falling to $112.1 million, erasing $48 million in value within minutes of after-hours trading. Winfrey’s original investment, however, is still in the black. She bought 6.4 million shares of Weight Watchers at $6.79 a share in October 2015, worth $43.2 million at the time, according to a Securities and Exchange Commission filing. She also joined the company’s board of directors. Last year, Winfrey sold some of her stake in the company. She now holds 5.4 million Weight Watchers shares, according to a January SEC filing.